Whilst the kit isn’t free, the energy it uses to charge your narrowboat batteries is. 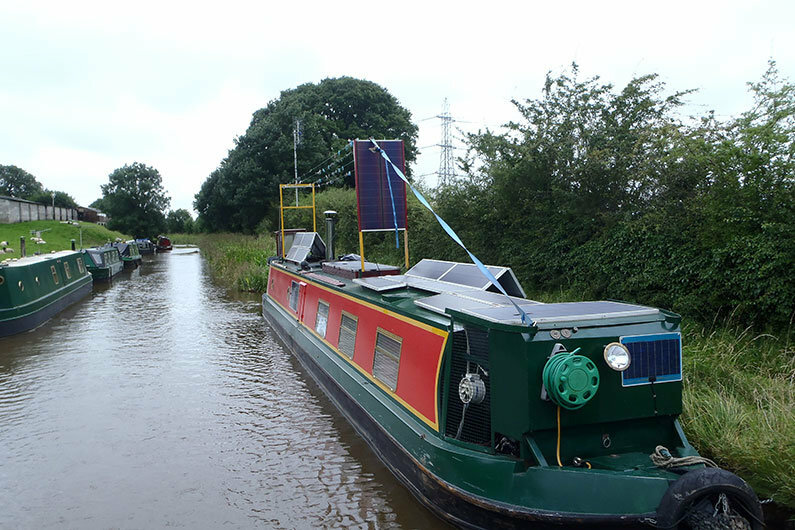 More and more narrow boaters are fitting solar panels as an alternative to having to run the engine or plug into the mains. Nevertheless careful consideration has to be given to ensure you get the best value from your system. 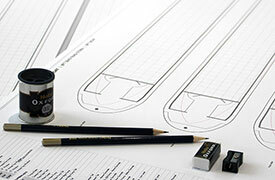 Solar panels are an increasingly attractive option for narrow boaters. A basic system offering 100 watts of around 5 amps charge can be purchased from around £150. However you could look to install a solar system to run your full system, providing you have the budget and space to do so! 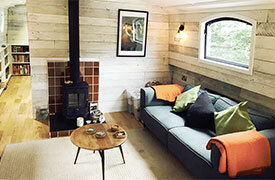 A consideration is the mounting of the panels on the roof as with everything narrowboat, space is at a premium. As technology improves so do the efficiencies of photo-voltaic panels. 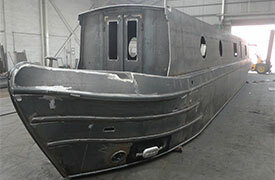 The technology is becoming more suitable for the northern European climate and sizes are reducing. In simple terms you will require the following equipment: Solar panel/s, charge controller and batteries. Installation is simple with mountings often supplied as kits for DIY installation. Wire connections are made waterproof plug in connectors known as MC4 connectors. It is simply a question of wiring the charge control unit to the battery bank then connecting the panel or panels to the controller. As with other items on your canal boat, it is imperative to ensure your solar panels are secure from any opportunists trying to grab a freebie! 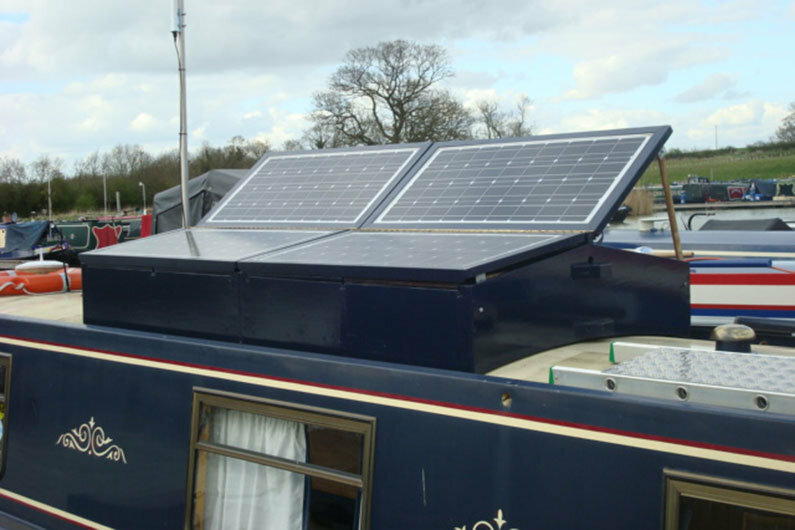 If you are having a narrowboat built or a buying a sailaway canal boat, consult your boat builder to have solar panels installed during the build stage so that the wiring can be hidden. This will provide a solution that is much more aesthetically pleasing than trying to install solar panels post construction. 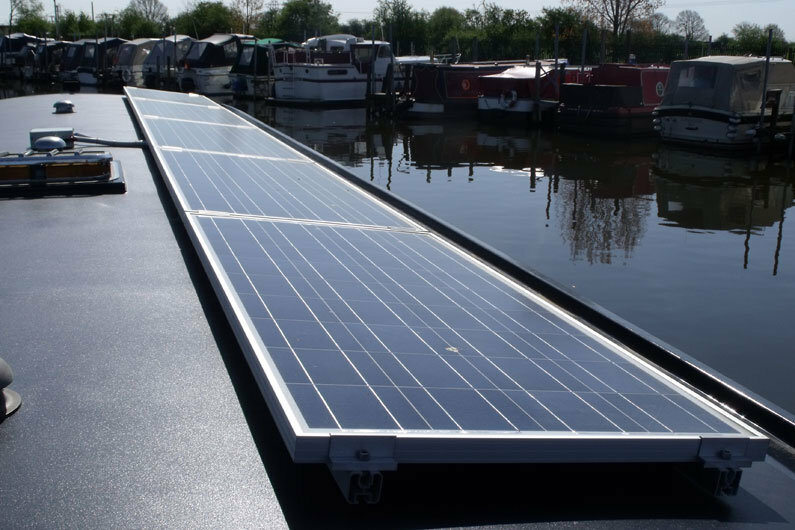 It is unusual for solar panels to be included as part of a new narrowboat or widebeam package, however a bespoke boat builder should be able to include them, if required, at an additional cost. Controllers are available that can charge multiple banks of batteries. DC panels typically operate from around 17 volts and upwards. Chargers control and regulate the input into the battery bank and panels can be wired in parallel to increase wattage output. For example, two 100 watt panels can be wired to make one panel of 200 watts. The voltage output remains the same, at whatever the panel is rated at but using our W / V = A equation the combined output rises from a theoretical 7.9 amps to nearly 16 amps. In reality this will be closer to an average of 10 to 13 amps but the advantages of “stringing” panels is clear. It has to be said that the reality of solar charging can be quite different to the theory. As much as 60% improvement in panel output can be gained under certain conditions by angling the panels towards the sun. This is not always possible on the windy canals. Also panels, obviously, need direct sunlight to function efficiently. In direct sunlight, in the heat of high summer, a steel canal boat can be an uncomfortable place. You will find yourself cruising past those nice cool shady spots to moor in the sun. The quality of construction of the solar panel, as well as the cell type, will directly impact the amount of power a panel will produce. There are two cell types: mono crystalline (usually black in appearance) or polycrystalline (usually have a blue tint appearance). Mono crystalline cells tend to be more efficient and are able to produce more power in poor light conditions. Autumn, winter and spring will see dramatically less output from your panels than in the height of summer. Be prepared to see little or no output on many days in these seasons in the northern hemisphere. Consider a 200watt kit as a minimum for running a fridge, lights, pump and TV on a narrowboat. Solar panels are a method of charging. Some charge controllers do have an ability to run an appliance such as a light or low power pump from any excess charge voltage but this is limited. Best practice and safety dictate that appliances should be wired and run from the conventional DC system. Two types of chargers are available for interfacing with narrowboat solar panels. One is low technology, one high. Both are perfectly capable but one is more efficient. Cost divides the two. PWM or pulse width modulation chargers work by simply matching the output of the panel to the requirements of the battery. These are perfectly suitable for the relatively low wattage systems commonly found on narrow boats. The challenge comes in low light situations such as on cloudy days of first light. If the panel is only outputting a low voltage, then that is all the PWM charger will put into the battery. This efficiency becomes more exaggerated at high wattage installations of say 200 watts. The PWM chargers are rugged, compact and low cost, from around £10 upwards. You get what you pay for though so expect to pay around £20 to £40 for an economy unit that operates with efficient bulk and float charge. MPPT or Multi Point Power Tracking charge controllers are the second option. Tracking relates to the controller managing the output voltage of the panel, not the panel following the sun. These controllers use an algorithm that ensures the solar panels potential output is always put into the battery. In low light conditions this means charging can start at much lower output voltages. These chargers are more expensive than PWM and there is debate as to whether the advantages are significant on systems below 200 watts. Prices are dropping as the technology is taken up so expect to pay £80 to several hundred pounds depending upon quality and output wattage of the system.